Running can be hard on your feet, and although it’s great for your general health, you need to ensure that you take care to avoid foot problems and pain developing. Many foot conditions, such as plantar fasciitis and heel spur, can be caused or worsened by running, and it’s important to address these as soon as they occur in order to minimise further damage to your feet. Runners often experience foot problems, and these can be intensely frustrating, as well as painful, since they can interfere with a training routine and even cause you to have to stop running altogether if not treated. • Plantar fasciitis: a condition in which the plantar fascia, the ligament which runs from the front of your foot to the back, becomes damaged and inflamed, causing pressure and pain. • Heel spurs: this term refers to small areas of extra bone in the heel area, which has calcified. The pain is caused not by the spur itself but by the soft tissues around it, which will be put under greater pressure. • Stress fractures: the bones of the foot can be broken or bruised while running, especially if you are covering long distances, due to the pressure of the foot hitting the ground, which is even greater when running on hard surfaces. How Can Runners Prevent Foot Problems? Looking after your feet is the only way to protect them against the damage that you can incur while running. The following simple measures can help you to prevent foot pain and keep your feet healthy. 1. Wear supportive shoes. Wearing shoes with the correct support for running can make a big difference to your feet if you are suffering with foot pain or trying to prevent it. Visit Foot Solutions for a gait analysis test so that you can find shoes to suit your running style and keep your feet comfortable. 2. Use inserts. Insoles and arch supports can be used to relieve pain and pressure on your feet while running, which can alleviate problems or prevent them from developing. Try different styles to find out what suits your feet best. 3. Warm up and down. Many injuries occur when the muscles and ligaments of the foot are placed under pressure, and this will be more likely if they are not eased in and out of exercise. Warming up and down, before and after exercise, can help to prevent damage and foot pain. 4. Look after your feet. Washing and drying your feet well every day, especially after exercise, is vital. Changing your shoes regularly and not always training in the same shoes (especially if they’re worn out!) can be good ways to allow your feet to recover. 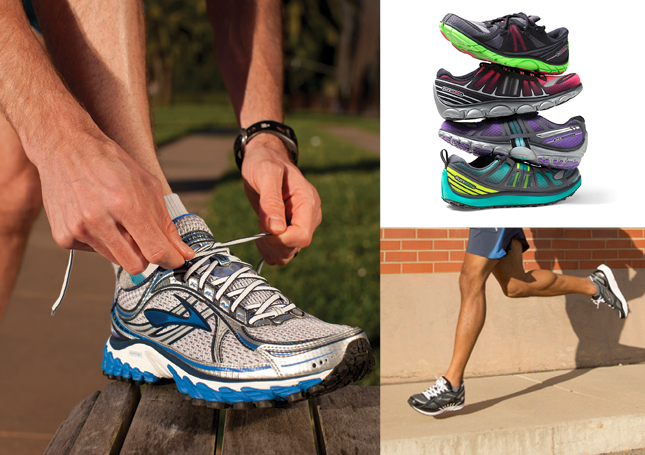 If you are a keen runner, or are just getting started, the friendly and helpful staff at Foot Solutions will be pleased to help you to find shoes that work for you. Visit your local store today and give your feet a treat!